So the major question is: Why does it make sense to do it this way? 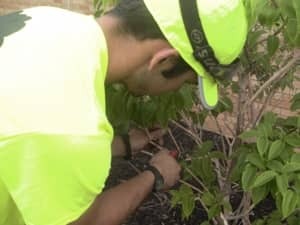 The answer is simple: It doesn't make sense to mulch then prune. If you should have any questions or would like to discuss other options on how to save in regards to your landscaping budget, please do not hesitate to contact us.